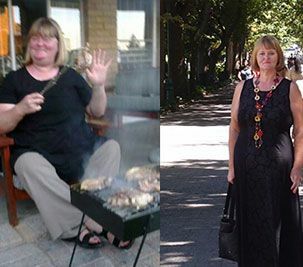 Before I started Banting I have been overweight my entire adult life At 55 both my knees simply packed up. I do not have a medical aid so knee replacements were out of the question. My GP told me very bluntly that the knees would feel better if I was not so overweight. Then I heard about it from I googled what was the most popular diet under Hollywood celebrities as I reckoned these are the one lot of people that know how to stay thin. I decided that a low carb diet was the way to go. What happened next was I got all the information I needed on the internet started my low carb lifestyle. I started losing weight immediately and not a single week passed without some weight loss. And now I lost 45 kg in about 15 months and my knees are 95% better. My final comment on Banting is it saved my life. I could just not see myself disabled at such a relatively young age.